Habitat: (view in new page) :Key: Woods with deciduous oak on limestone.Secondary : Limestone rockfalls, Thickets on limestone in the Mediterranean, Thckets and woodland edges of cool limestone, Mixed evergreen oak and deciduous trees, Deciduous oak woods on silica, Salzmann pine as tree and wasteland shrub, Forested ravines of maples, ash and lime, Beech woods on dry limestone. 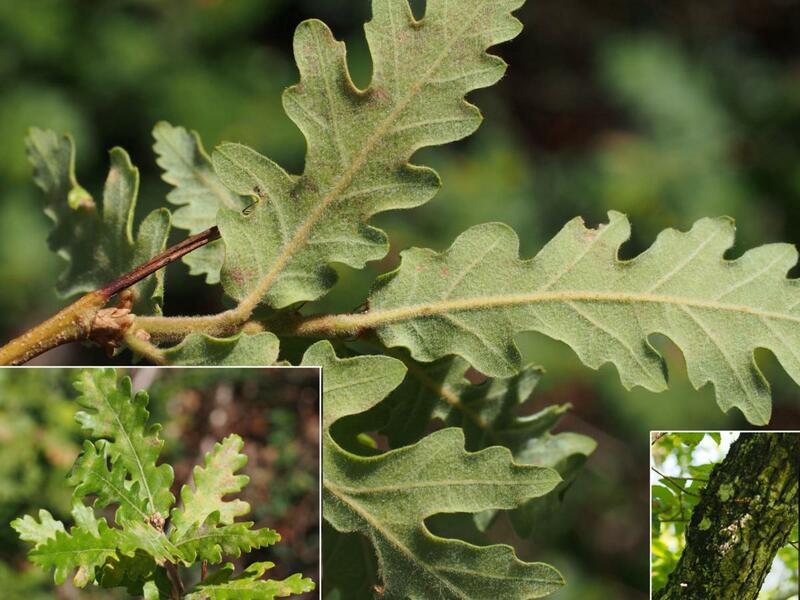 Habitat : (s'ouvrir nouvelle page) :Clef : Chênaies à feuilles caduques sur calcaire. Secondaire : Eboulis calcaires, Buissons sur calcaire aux étages méditerranéens (matorrals), Buissons et lisières sur sol calcaire frais (fruticées), Chênaies vertes et mélangées à d'autres feuillus, Chênaies à feuilles caduques sur silice, Forêts et matorrals de pin de Salzmann, Forêts de ravin à érables, à frênes, à tilleuls, Hêtraies sur sol calcaire sec. Arbre peu élevé, souvent tortueux, à bois brûlant facilement; jeunes rameaux assez flexibles, pubescents. Bois et coteaux secs, surtout calcaires, dans tout le Midi, et çà et là dans le reste de la France. Répartition hors de France : Europe méridionale et centrale; Asie occidentale. 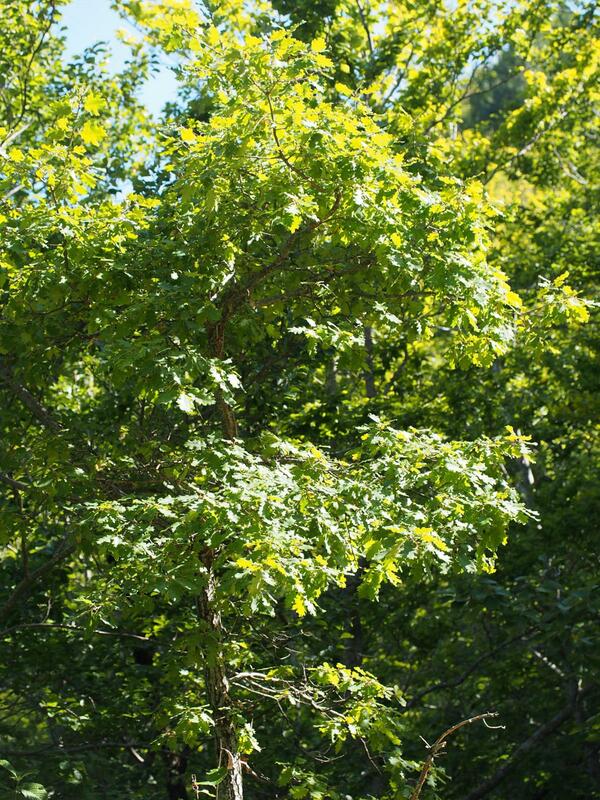 Medium-sized deciduous tree growing up to 20 m. . The bark is very rough, light grey and divided into small flakes. 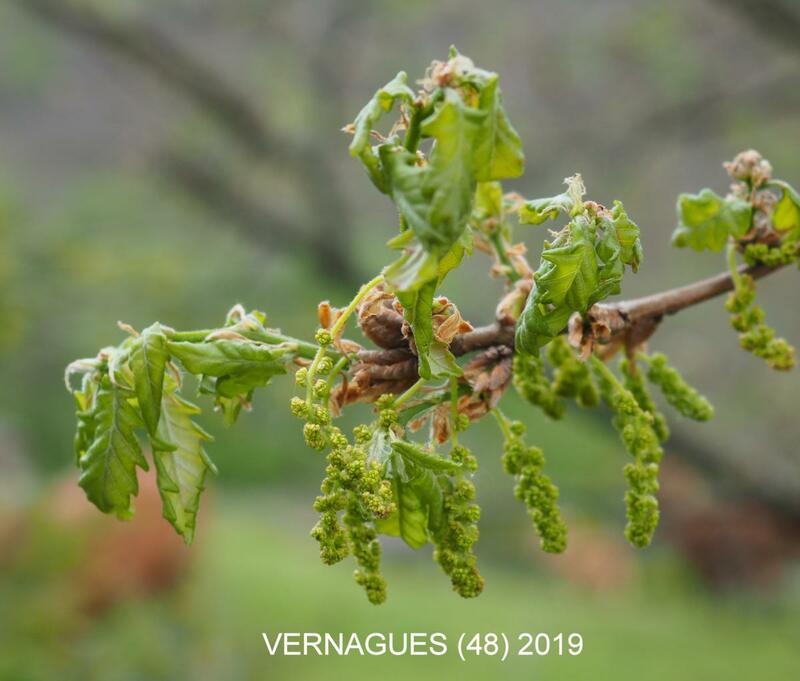 Large trees develop very thick whitish bark cracked into deep furrows, similar to the pedunculate oak but lighter in colour. The twigs are light purple or whitish, tomentose. The buds are small and blunt, light brown. Floraison France : avril-mai, fr. septembre de la même année. Leaves: leathery usually 4-10 cm long and 3-6 cm wide, usually widest beyond the middle. The upper leaf surface is dark green and rough, the lower light green. Both leaf surfaces are covered with minute pubescence [Hairs not stellate (some authors believe can occur). Leaf base not gradually narrowed into the long petiole, top of leaf not wider than base which is sometimes lost in older leaves by late summer. The young expanding leaves are whitish or pinkish with very soft tomentum. The leaf shape is very variable, divided into 3-7 pairs of deep or shallow lobes, which are usually divided into a few sublobes. The lobes are usually blunt, rarely sharp. The apex is usually wide and round. The base of the leaf is heart shaped, widely rounded or sometimes pointed. The petioles are 4-15 mm long, stout and pubescent. Fruit : sessiles ou à pédoncule ne dépassant pas le pétiole; cupule grise-tomenteuse, à écailles appliquées, les supérieures à pointe libre et saillante; glands ovoïdes [presque sphériques à plus allongés]. Fruit: The acorns are light brown to yellow, 8-20 mm long, usually thin and pointed. The acorn cups are light grey to almost white, with pointed, overlapping scales, covered with tomentum. 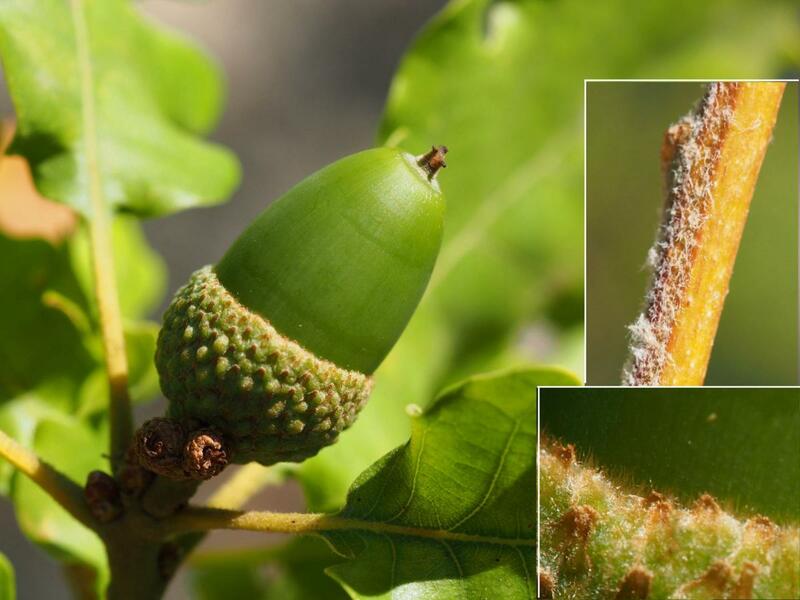 The acorn stalks are thick and pubescent, up to 2 cm long. 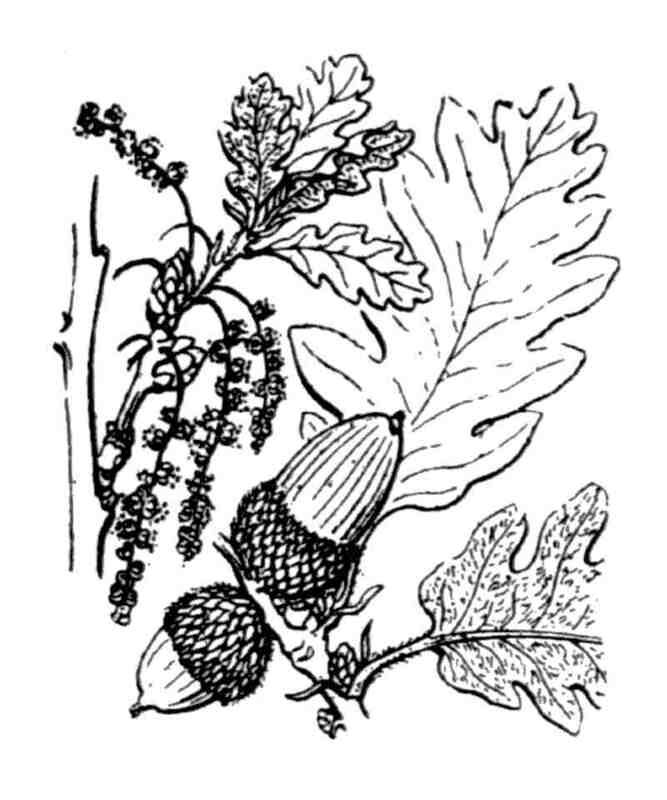 The acorns usually occur in groups of 2-5 on the same stalk.